The Momentum blog is an industry resource to get your construction business moving in the right direction. This is where Shawn shares his knowledge, experience, and practical advice to help you grow a profitable and sustainable construction business. 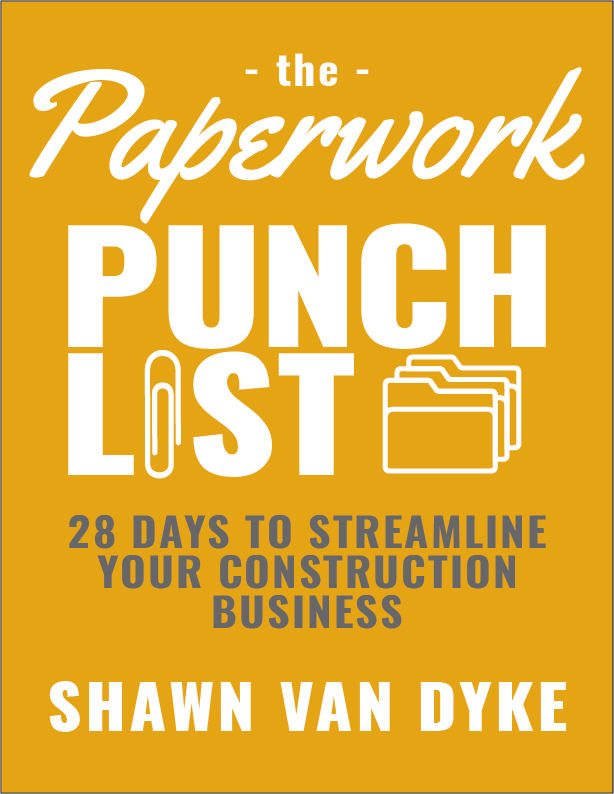 Sign up to receive a FREE copy of The Paperwork Punch List and you will get updates from the Momentum blog delivered to your inbox. This is where you will learn about the strategies and systems you can implement to get the results you need for your construction business. Check out the NOW page for the latest news and programs Shawn is working on. Take the SKILLED TRADE | SOUND BUSINESS survey and let me know your opinions about the issues you face in your construction business.